John Fleetwood of the Woodland Trust who will give a slide presentation on "Talking Trees". Do come along. 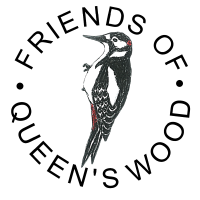 It is your opportunity to hear what your committee has been getting up to, to share your ideas for the future of the wood and to vote in the committee to run FQW next year. And John's talk promises to be a fascinating account of the activities of the Woodland Trust. River Moselle walk: Sunday 10 April. Joyce Rosser will lead the first of two walks along the course of the River Moselle which flows from Queen's Wood to the River Lea. Meet 11.00am outside the Lodge. 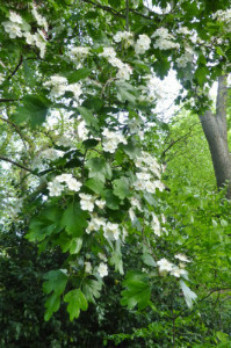 Walk in the wood: Sunday 10 April David Bevan will lead his annual walk in the wood, looking at flora, trees and more. Meet 2.00pm outside the Lodge. 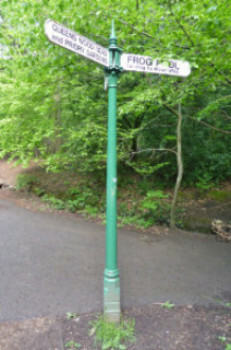 Geology in Highgate and Queen's wood: Wednesday 13 July Jonathan Meares, Manager of Highgate Wood, and Diana Clements, London Biodiversity Partnership, will lead a walk in Highgate and Queen's Woods, comparing the soil and geology. Meet 6.00pm at the Information Hut, Highgate Wood. And further on..., keep Saturday 10 September at 2.30 free when Kim Walker of Handmade Apothecary will lead a walk looking at the herbs in the wood and the folk lore attached to them. BECOME A CITIZEN SCIENTIST Phenology is the science of repeated natural events and is useful in evaluating climate change. The Friends of Queen's Wood are contributing to the Nature's Calendar Survey run by the Woodland Trust by recording the first signs of spring, eg first buds, leaves, flowers, nesting birds etc. If you are interested in participating, contact precedomaria@gmail.com for more information. It's not too late to join in and you don't have to be an expert!. We will also be recording the first signs of autumn later in the year. In the wake of surveys of birds and invertebrates in the Wood, we decided to sponsor a survey of fungi in the Wood in 2015. Andy Overall, who has also recorded the species of fungi present in Hampstead Heath and other London sites, paid four visits to Queen's Wood between May and November. 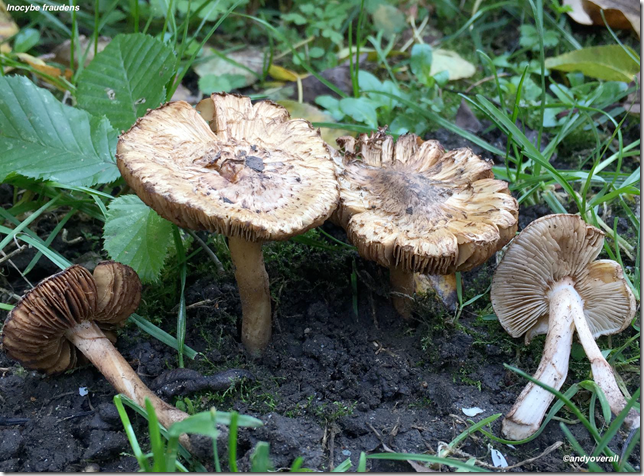 In all, he found a total of 116 different species present While most were common in woodlands like ours, he found one or two locally rare species, especially Inocybe fraudens (pictured above) for which this was the first recorded sighting in Middlesex. Another species, Podoscypha multizonata (pictured below) is largely found in old deer parks and ancient woodland and 80% of all records in the world are for SE England. Andy sent dried specimens of the least common discoveries to the Fungal Herbarium at Kew to add to their collection. We hope to put a copy of his report on our website in due course. He also made recommendations on how to encourage fungi. 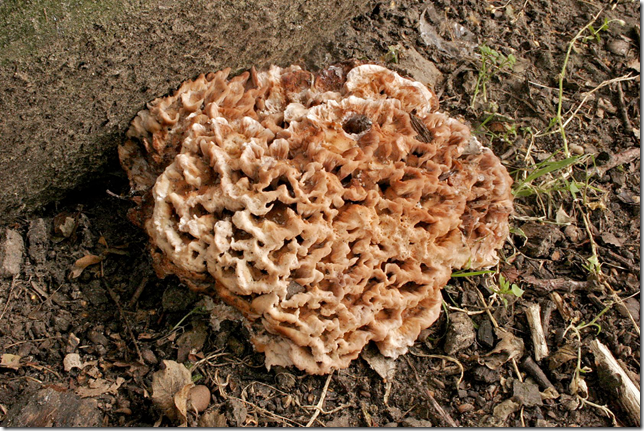 The sloping terrain of the wood is attractive to fungi as they flourish where water can run off. Dog waste is detrimental because it can lead to nitrification, so thanks to all our dog owning members who undertake the chore of picking up their waste! Similarly dumping is a threat and over use of particular areas damages the environment for fungi so our litter picking activities and dead hedging round trampled areas are important. On the other hand, we need to continue to keep and pile up dead wood, which is really valuable to fungi. CONSERVATION OFFICER POST Sadly, Ian Holt, who was the Nature Conservation Officer for Haringey, has now left and is unlikely to be replaced. This is a real blow for Queen's Wood and other open spaces in the borough as Ian was always on hand to give advice on important matters in the wood. He also helped us get grants from various sources to carry out coppicing, improve paths and other schemes. Our membership is now more important than ever to raise funds and awareness of what FQW is trying to achieve. HEDGEHOGS! 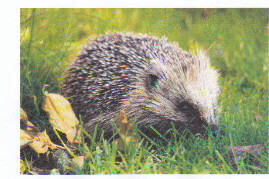 Has anyone seen a hedgehog in their gardens near the wood in the last five years? If so, please tell us. from 10.30am to noon. Meet at the Lodge. Tools are provided but please bring your own gloves, and, if possible a mobile phone to keep in touch with the working party leader. It is not too late to join the Committee and we would love to have you. Please contact John Dorken (dorken24@aol.com) if you would like to know more.